Emily Westcott is passionate about opening the dialogue around the many forms of distracted driving, and the dangers it presents to everyone. As someone who works in the auto industry, Emily feels strongly about the importance of raising awareness around this issue. Emily is proud to work for Cowell Auto Group, as they share the same priorities of making a meaningful difference for their customers, team, community and industry. Q: There are so many charitable initiatives out there, why did you decide to support this cause and participate in the campaign? Q: As one of the top performing dealers, how were you able to collect pledges so successfully? What methods did you use to promote the campaign to your customers, both in the dealership and within the broader community? 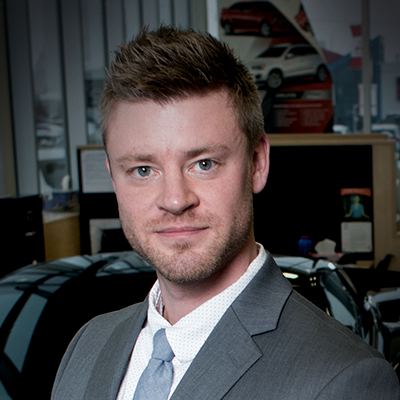 Westcott: “Audi Richmond conducted our campaign through all sorts of channels. Not only were we active in our dealerships, but also online. We were very active on social media, and made sure that we were posting content about distracted driving weekly. We shared many different blog articles on our website to raise awareness around distracted driving and why it’s dangerous. A big focus was letting people know the costs associated with driving distracted, which are not only expensive fines but also people’s lives. Q: How do your customers typically react when you tell them about the campaign and encourage them to pledge? Q: Do you find the Auto Dealers Against Distracted Driving Campaign helps break the ice when chatting with customers? Westcott: “Definitely. It’s a great way to make some small talk that’s not about the weather. This topic is also a great way for us as Audi Richmond and Cowell Auto Group to let people know what our vision and values are as an organization. Linda’s passion for the campaign comes from a deeply personal place, having lost her husband 9 years ago because of a distracted driver. 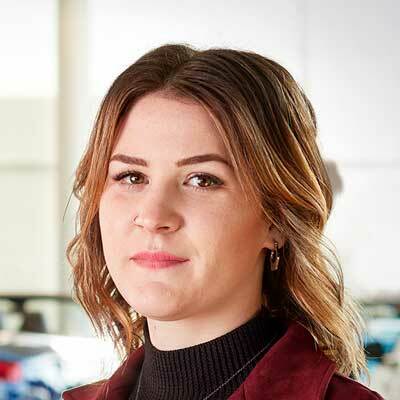 Acting as a rally point between two separate dealerships, Applewood Kia Surrey & Langley, she helped raise over 1,000 pledges against distracted driving. 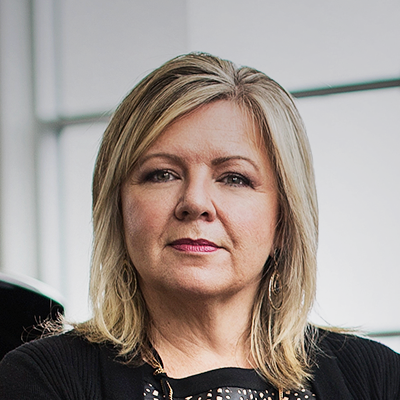 It is through her sincerity and dedication that Applewood Kia towers over the Dealer Board. Linda says that she doesn’t do anything special, but the results of her efforts say otherwise. Thomas: I feel very strongly against distracted driving. My husband was killed by a distracted driver. I also have friends who have lost loved ones to distracted drivers. It is as bad as driving while intoxicated. Thomas: I used social media to reach outside the dealership. As customers came to reception to pay, I talked to them about the campaign and asked if it was okay to sign them up. If they were with their spouse, I would sign up both. If you leave it to them to sign up, they will go home and forget. If you talk to them about the campaign and do it right there, it sticks better with them. Thomas: Most people are happy when they see the dealership getting involved in things like this, shows that we care. Some have even advised they would talk to friends and family and have them sign up. I don’t do anything extravagant. I just talk to every person I see about it and sign them up. 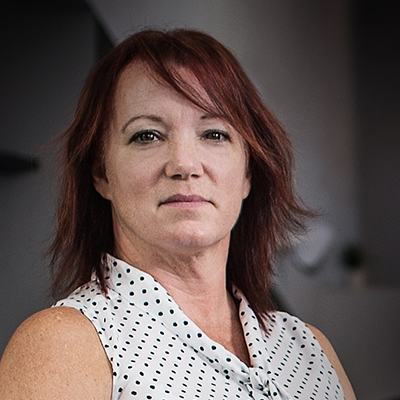 Concerned with the state of our roads, Linda put her ingenuity to task, using every resource available to make sure that her customers were aware of the dangers of distracted driving. Linda believes you don’t need to do a lot: a short conversation, a little reminder, and a bit of passion can save lives. Leo: The last couple of years, myself and my coworker, Karissa, have been heading things up for the distracted driving campaign. First, being in the business that we are in, [distracted driving] is such a huge thing. There are so many people who die from distracted driving each year, and it’s crazy. You drive down the road and everywhere you look, people have their heads buried in their cell phones and they aren’t paying attention. We felt it was really important to get the message out and make as many people aware as we are able to. Leo: One of the biggest ways is we have a monthly newsletter that reaches 25,000 customers. It is definitely something we promote via email to our customers during the campaign. When customers come in to the service counter, the service staff talk to them about it—they hand out the little key tags, wear the badges, and have the pins. We find it’s really important to talk it up to our customers, we mention it to everyone and ask them to take the pledge. We did a Facebook campaign—just a small paid ad. You don’t need to spend a lot. I think even, like, a dollar a day and you can reach thousands of people within your local area. I believe we used everything that was offered through LGM, there was a lot of great material and we just formulated our ad from there. Leo: Customers always say “oh sure! Yeah, no problem.” Probably only 1 in 5 actually goes and does it themselves – we see a lot of people in the day. One of our service advisors took it upon himself to make sure he had the customer’s permission and then he would enter in their information at the end of the day. But I actually think it is better when the customer does it. At our dealership specifically, we have those tablet stands in the service department. So, while people are waiting, they can read more on the campaign website and take the time to make the pledge while they are waiting for the vehicle. Leo: Most of our staff are pretty good at having a conversation, but it is definitely something to talk about. We do feel pretty passionately about people texting or being distracted while driving. For Waverley Mitsubishi, their strong desire to protect the community is reflected by an instinctive need to rally against distracted driving. For them, it is natural and obvious to care about the people around them. And while the previous Campaign Champion, Trish Van de Leygraaf, has retired from the industry, Kerry Kooi and the Waverley team are eager to pick up the torch. Van de Leygraaf: It is something that I am personally passionate about. This campaign, in my opinion, brought further awareness to the dangers of driving distracted. I believe it motivated staff, customers, family and friends to be more aware of how it can affect not only themselves but the people around them. Van de Leygraaf: I created posters for the dealership and signup sheets were kept in service and at our front reception. Everyone who came in to Waverley Mitsubishi was asked to pledge to not drive distracted. All staff were asked to post on their social media to have family and friends pledge and we would then take the lists every other day and post it on your website. There were a few of the staff members that were motivated, myself included, by the numbers we were reaching. It was great to see the number of pledges from the different cities across the country. So naturally we wanted to be at the top of the list. Anything I can do to promote safe driving habits is worth it to me. That’s the main reason I chose to really promote this campaign. If we can bring even more awareness to our family, friends and others around us, why wouldn’t we at least try? I truly believe that the campaign saves lives! Sébastien, tired of seeing his customers impacted by avoidable collisions, presented them with a warning that they couldn’t ignore. 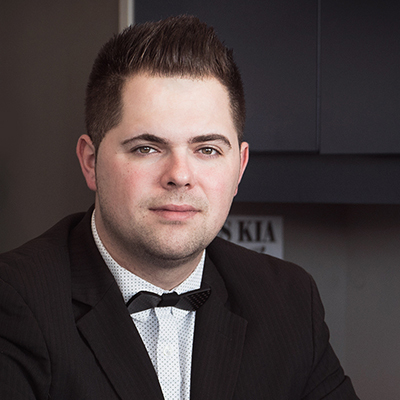 Régate Kia Valleyfield’s showroom became a theatre featuring all the dangers of distracted driving. His warning was heard loud and clear: It’s not worth it to drive distracted. Roy: We feel very strongly about the campaign against distracted driving because road safety is very important to us. We see too many of our clients involved in collisions that could have been avoided if all drivers were completely focused on the road. Roy: We placed all the promotional items in our showroom, which gave rise to questions from clients and visitors. We were able to raise awareness among our clients by sharing our personal experiences and those of other clients. The SAAQ (Auto Insurance Board of Quebec) commercials allowed us educate our clients and community. Roy: Clients seemed surprised that we would take the time to explain the dangers of distracted driving. They were also surprised that the dealership was involved in this type of campaign. However, many of them acknowledged that this was a serious wake-up call with respect to their driving habits. They commended us for our involvement in the campaign and are pleased to have contributed to the campaign against distracted driving.